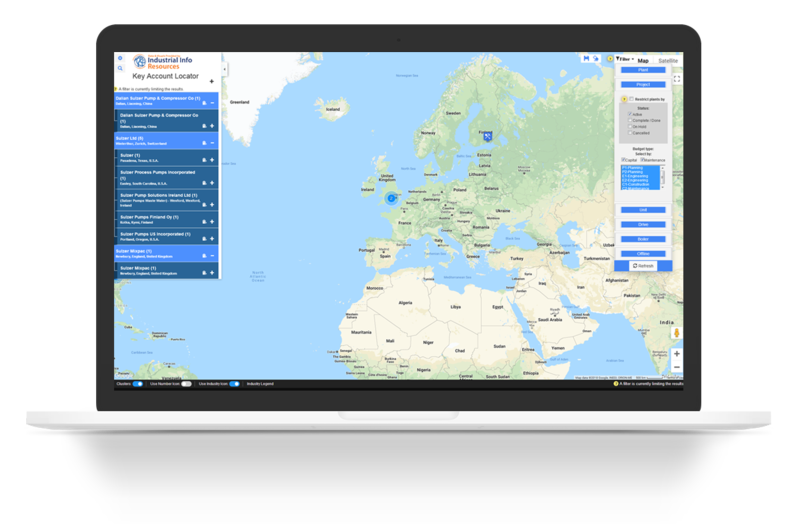 Our product suite, including The GMI PECWeb, The GMI Geolocator and The GMI Market Analyzer are now fully integrated into our database platform. 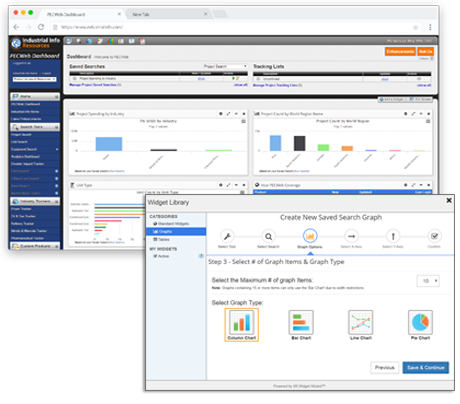 This approach provides end-users with multiple tools that seamlessly work together to identify, qualify, track, analyze and predict the potential spend within a given market and geography or a Key Account. 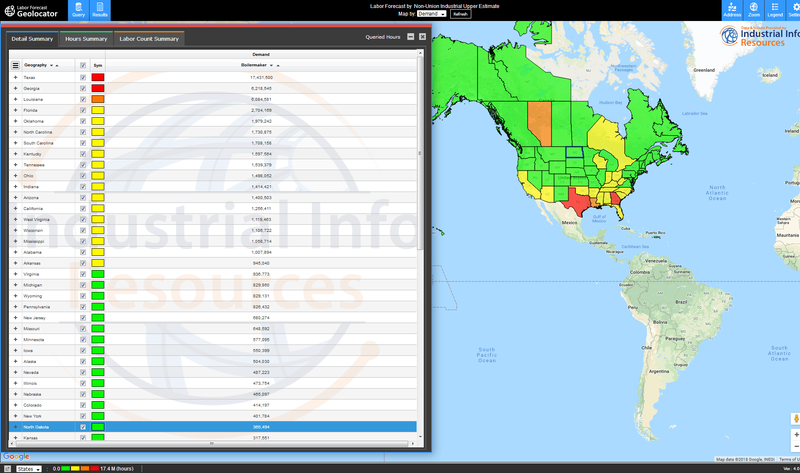 Find the best available information on industrial market intelligence using geospatial and detailed search views. IIR covers capital and maintenance projects, plants, and units/equipment, as well as additional datasets within 12 industrial markets globally. Search for specific opportunities by targeted criteria such as ownership, geography, project schedule, project value, industry, contacts and much more. 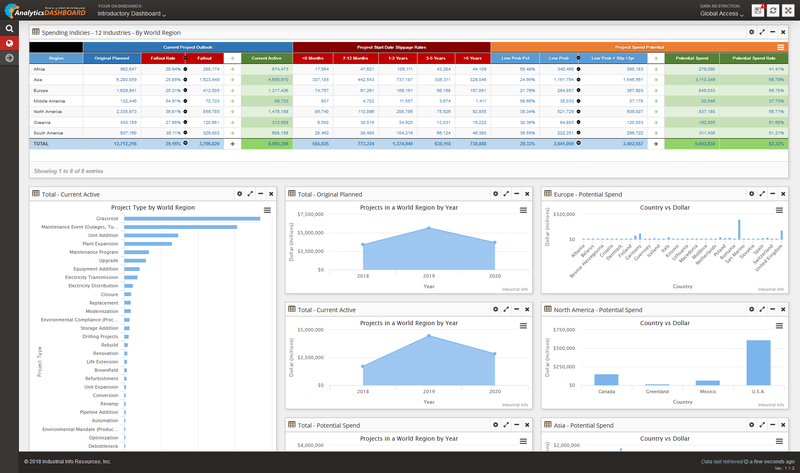 Utilize IIR's Widget Library, and create interactive graphs and charts on your Dashboard to quickly narrow down to the market intelligence most important to your business. Reports are updated on a regular basis, so you constantly have access to the most up-to-date information. Using GMI PECWeb's My Data tool, you can add your own additional information alongside IIR's data to track and get updates on relevant opportunities. CRM-Like Functionality - Input additional companies, contacts, opportunities, task reminders and notes like a typical CRM to track ROI. 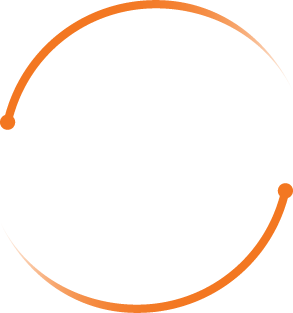 Proprietary Data Protection - Securely store your My Data through our 3 levels of security: Site, Product and Client Authentication Requirements. 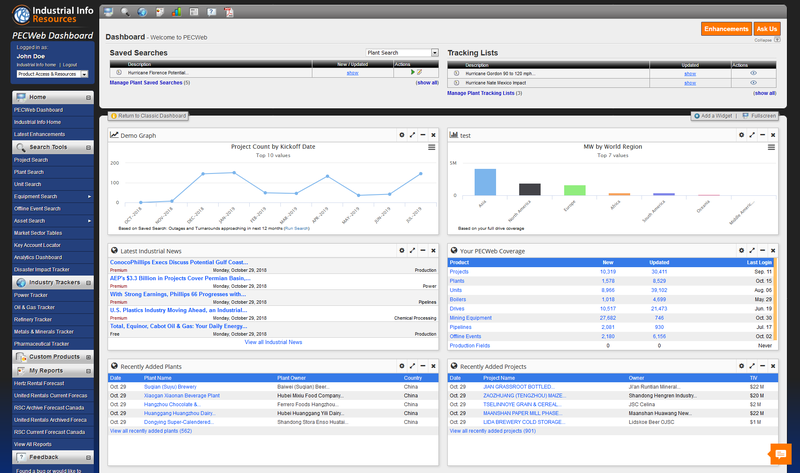 IIR's FTP Feed - Flag projects to feed targeted leads to your sales team through your own internal CRM. 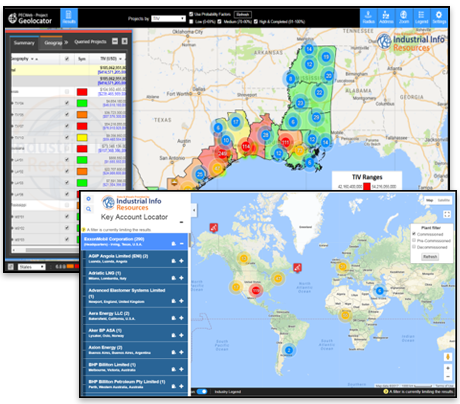 IIR's Disaster Impact Tracker monitors natural disaster events around the globe and their impact on industrial plants and units. This interactive tool allows you to see which plants are currently impacted by a natural disaster, as well as also those that could potentially be affected. 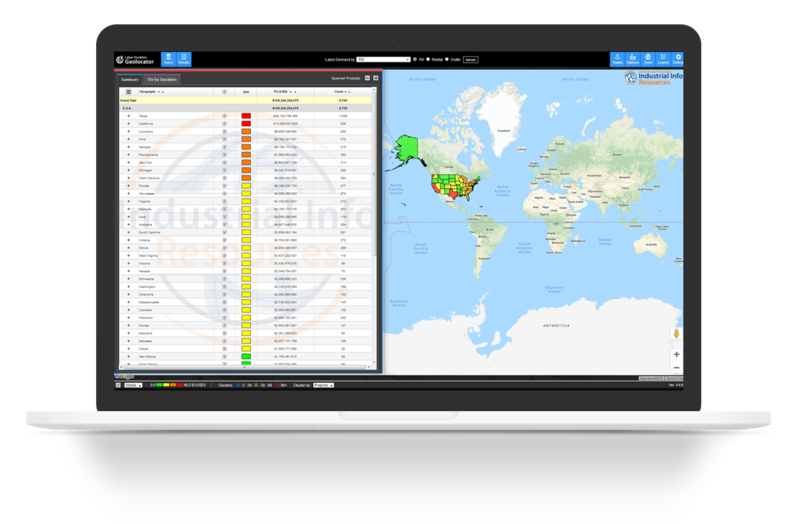 Utilizing IIR's large plant asset installed base, IIR's Key Account Locator allows you to target specific companies and key clients by plant owner or parent company. 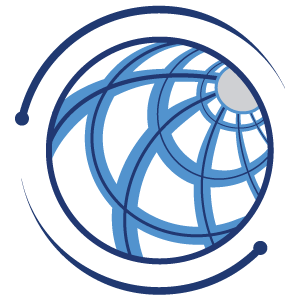 Embedded within every GMI PECWeb subscription, IIR's GMI Geolocator feature helps you visualize opportunities based on the search filters you have requested, such as project schedule or geography. 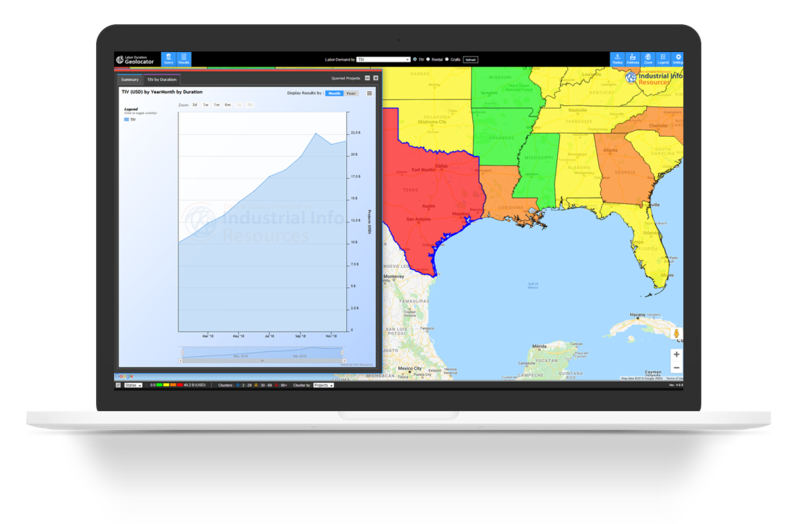 IIR's GeoLabor Analytics tool provides you with the ability to analyze supply and demand dynamics, wage rate forecasts, estimated travelers and utilization rates for skilled craft labor throughout the U.S. and Canada. Detailed information is available down to specific metropolitan areas. IIR has recently launched its GMI Market Analyzer, which gives you an interactive statistical view of the project opportunities globally. 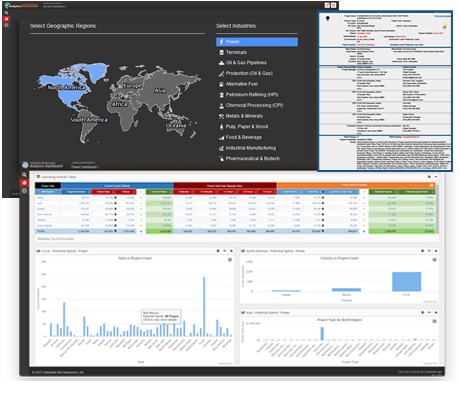 By using key metrics such as project spending indicators and indices, you will be able to identify and separate higher-risk markets from lower-risk opportunities through an interactive dashboard interface. 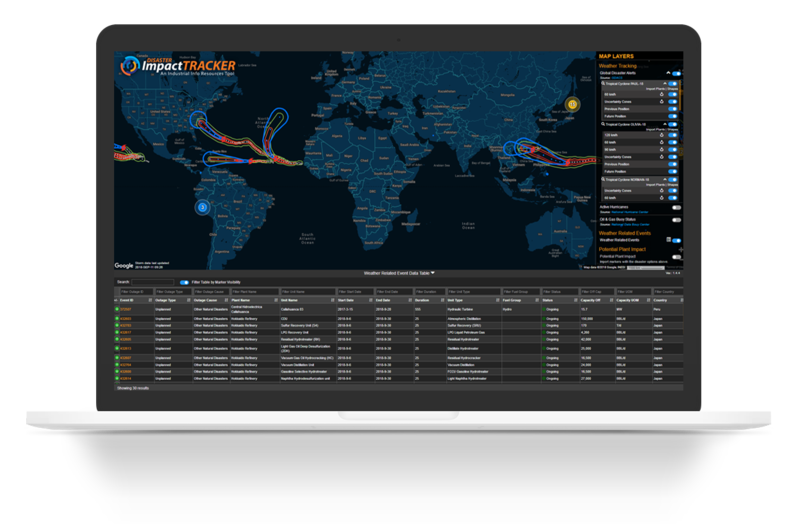 This feature provides the 30,000-foot view of the market for top-line analysis while allowing the capability to drill down to the 1-foot view of actionable project opportunities.